A 80s Neon Orange Lace Scarf including a Neon Orange Lace Scarf – Ideal for a 80s theme, a Neon theme, or any fancy dress occasion! 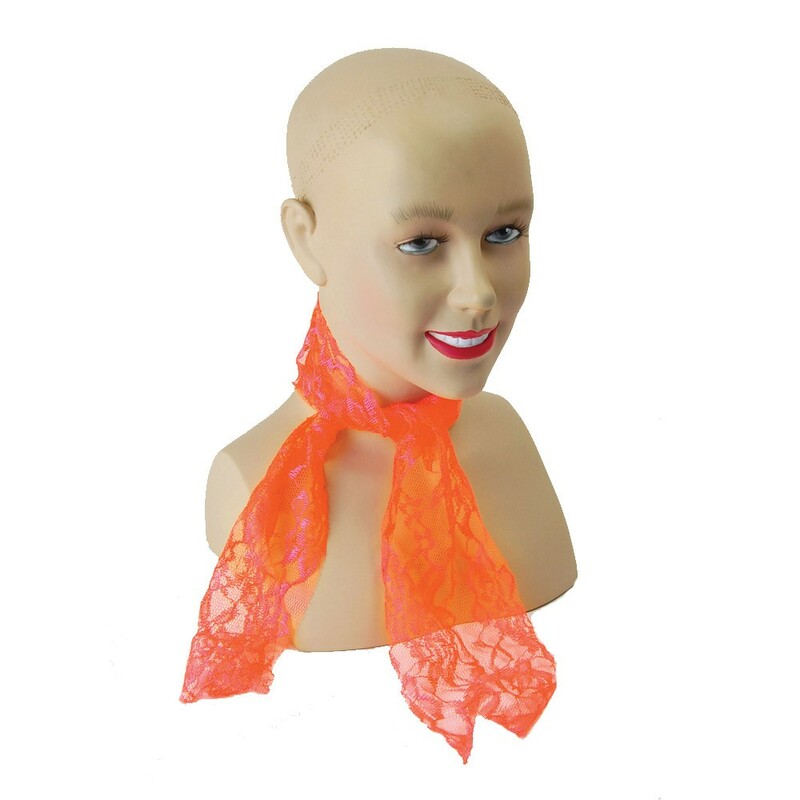 Add the perfect finishing touch to your 80s fancy dress look with this fantastic 80s Neon Orange Lace Scarf. This 80s Neon Orange Lace Scarf comes complete including a Neon Orange Lace Scarf. Simply tie around your neck or head for an instant transformation! No matter what the theme, this brilliant 80s Neon Orange Lace Scarf will add a pop of colour to your fancy dress look, from a Decades theme, a 80s theme, a Neon theme, a Hen Party, or any fancy dress occasion, this 80s Neon Orange Lace Scarf will be sure to impress no matter what the occasion! A 80s Neon Orange Lace Scarf.